Counseling Services in St. Louis, Kansas City, and via Telehealth (e.g., online counseling). Separate from, and as part of, our complete alcohol and drug treatment programs. Counseling services: In our St. Louis and Kansas City alcohol and drug rehab programs we use individual, family, and group counseling services to give knowledge about what is occurring, give the client insight into their particular situation, teach coping skills for future stressors and triggers, and provide social support for long-term recovery. Outside of our alcohol and drug rehab programs we provide general mental health and behavioral health counseling services to anyone seeking qualified and in-network counseling services for various reasons. Our counseling service uses the most effective techniques available including: cognitive behavioral, motivational interviewing, trauma therapies including EMDR, and solution focused therapeutic techniques. We provide individual counseling services to help clients with everyday issues or their treatment and recovery. Family counseling is available as part of our counseling services, whether alone or combined with other counseling services. Group counseling services are available for specific issues such as substance abuse and family support for substance abuse clients. Motivational Interviewing is a collaborative form of therapy between counselors and clients, which elicits motivation for change. It focuses on the individual’s perception of their issues and assesses desired change in order to create appropriate conditions for change in the therapeutic process. Motivational Interviewing (MI) explores the individual’s ideal-self and dissonance that may occur when behaviors and thoughts do not match their personal goals and beliefs. 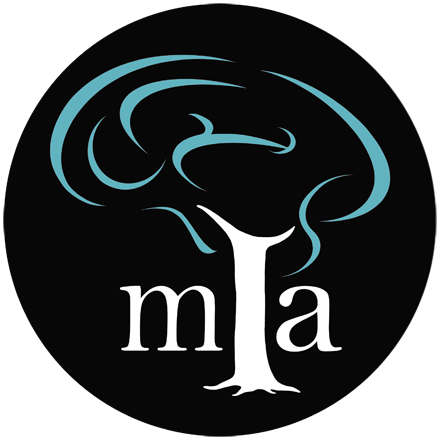 MI is a person-centered approach in which therapeutic relationships and empathy are at its core and progress is recognized and addressed throughout. Motivational Interviewing uses past anecdotes and experiences to help formulate present and future goals. Cognitive Behavioral Therapy or CBT is a brief therapy that explores the relationship between cognitions, or thoughts, and behaviors in the present and future. This technique is used in our general counseling services, addiction treatment, and with co-occurring disorders to challenge automatic and irrational thoughts and beliefs that can sometimes lead to self-destructive or negative behavior. CBT encourages clients to identify intrusive thought patterns, challenge those thoughts by redirecting them to positive and rational thoughts, thus giving clients a chance to adjust their behaviors. CBT uses journaling, charts and other homework techniques to help clients achieve their goals and increase their feelings of self-control. Solution Focused Therapy is a present and future oriented technique that encourages a client to express their future desires and vision for their life, followed by a thorough exploration of steps to achieve those goals. This collaborative therapy technique teaches clients to focus on their future and moving forward while using their experiences as a resource to affirm past successes or to examine where change may be necessary to attain a more desired goal for the future. SFT helps clients learn to identify problems, process different solutions and use those solutions to create a positive outcome. Other modalities include the use of EMDR to address trauma and emotional regulations in clients with PTSD and other emotional disorders. MIA is currently researching the efficacy of EMDR in substance abuse clients with preliminary data showing positive outcomes in emotional regulation and triggers compared to client’s not receiving EMDR therapy.